New to Packing? Or STP use? Don't know where to start? Well, you came to the right page. Packing is a personal choice. What to wear, what to use, when you wear it. Some things you decide for yourself and suss out how you feel once you actually pack. Same goes for STP use. Some guys wear their packer or STP 24/7. Others for particular situations or with STP's, pack it in the circumstances where they feel they might find themselves without a stall. But either way, I am more than willing to answer any questions or inquiries about any of this. 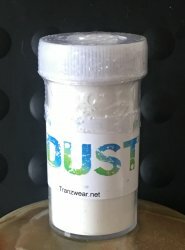 Ping me at tranzwear@gmail.com or here on the site where it says "ask a question"
On this page, I have given you a list of items you might want when you initially start packing. Packers, underwear, harnesses, and STP's, or STP packerless styles. All of these are personal choices, what you feel would be most comfortable. I am listing the most popular of the items people choose for 1st time packing. As you get more products, you will figure out what you like, what feels comfortable and you can build your packing chest from there. What to pack with/in? We have a variety of underwear. Are you a boxer brief or brief man? Does a harness appeal to you that you can wear inside any pair of underwear. The biggest difference is that with packing underwear, there is something between you and the packer and with a harness, the packer is against your body. No matter which you choose, your packer is secure, you will not lose in the aisle at Safeway, or while in the gym, or swimming, (yes I have packing swimsuits and gym shorts) Homemade devices, using items with velcro or pins, or double underwear packing doesn't give you the security and confidence that your packer will stay where you put it at the beginning of the day. STP, don't know where to start? I have a few items that can be used to practice standing to pee, without the high price of a packer STP. Some of them have the actual receptacle that our STP's have so you can determine if that style works for your body. This way, you can spend just a few dollars and make sure this is something you want to use ultimately, and if it does, your can then order the actual STP. Go to the STP Locker tab to find a STP if this is something you think you are ready to purchase. Choose from the items listed in the categories to your left to create your packing kit. Remember Garanimals when you were a kid? You put two matching things together that made up a animal, top and bottom. So this is like that. Choose an item from each of the categories listed under the Title page 1-5, or mix and match them so you end up with a packer and some sort of packing underwear or harness and maybe adding an accessory. You can find the STP's under STP Locker, (you can also find 3XL-5XL on the regular tabs). Use your discount code when you get to the shopping cart and PACK WITH CONFIDENCE! Works for Packing, STP and Play.The All in One Sport Harness is made with a braided knit elastic for the best strength and comfort. The waistband features a 1" inch braided elastic and 3/4 inch knitted leg straps to provide support whether you are packing, playing or using STP. This harness works well w/o ball cage with our new Custom STPs -Order leg straps to work with STP. or Dildos without ball sac. Special purchase! Champion Double Dry moisture wicking technology keeps you cool and dry. High performance stretch fabric moves with you for a great fit. No ride up for all day comfort. Smooth, flat seams prevent chafing. Modified performance mesh interior pouch provides support and ventilation, and holds your packer secure without any movement during the day. Our Pack Start Harness features a light-weight elastic waistband, with a hanging c-ring, with or without a ball cage. Need a ball cage with Sailor packer. This design does not have leg straps. The 1-1/4" c-ring is positioned about 4 inches below the top of the waistband. Basic harness, no frills, yet secure way to pack with confidence. This harness is made with a 1" waistband, you can increase the width of the band for an add'l cost. This item is a basic spoon STP without the packer. 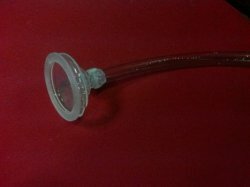 It is made from medical-grade, non-latex flexible tubing and a plastic, wide-mouth spoon receptacle. The tubing is 1/2" OD by 8" long and may be cut to suit your individual needs. Boxer Briefs feature a soft, comfort flex waistband and stretch cotton for ease of movement. This item is for one pair of underwear. Due to our buying options, these are available in assorted colors, Black, Grey or Blue. This is the basic Cobra STP without the packer. It is made with medical-grade PVC flexible tubing. 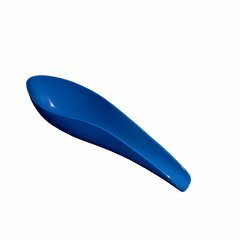 The outer receptacle is a cushioned silicone fast-flow receptacle. Available in two sizes. The Large receptacle measures 2-3/4" wide, 3" long and 1-3/4" deep. 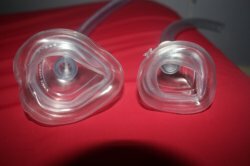 And the smaller air mask is 2.5" both long and wide and is made for those who feel that they have limited space for a STP receptacle near their urethra. Cyber-skin and silicone/silicone type products are a very porous material. 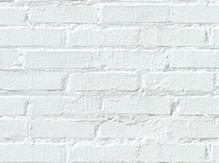 Due to humidity, after you wash it, it will feel sticky when it dries. Let it air dry, do not use a cloth towel or any type of paper towel. You can keep it in a storage bag to keep it clean, but make sure it's totally dry before you do. Never store two packers together in same container. Chemical reaction of the silicone causes them to melt together. This is the basic Cyclone STP without the packer. It is made with medical-grade silicone flexible tubing. The outer receptacle is a silicone fast-flow receptacle. The tubing is 7 inches long. Packer not included, this is receptacle and tubing only. The Floater design allows your packer to move freely on the inside of the brief, allowing easy positioning and adjustment. The pocket INSIDE the Floater allows the packer to move freely within the brief, allowing easy positioning and adjustment. The Floater design allows your packer to move freely inside the trunks, allowing easy positioning and adjustment. 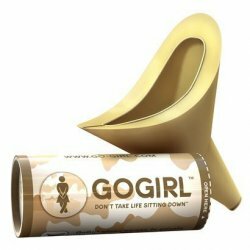 The GoGirl is a urination device that allows you to urinate in a standing position. Made from medical grade silicone, it is soft, flexible and easy to clean. Fold it up in between uses. It comes in it's own travel tube, and fits easily in a pocket or glove compartment. It quickly "pops" back into form when needed. Helux Boxer Briefs-Perfect for STP use! SPECIAL BUY!! New great add to the BulletBrief lineup of products. Sizes are form/snug fitting. If you prefer a loose fit order one size larger. Made from Real Feel Superskin� material , the Mr. Limpy is realistic in look and feel, and comfortable to wear. Available in vanilla and caramel in sizes X-small-3.5, small, 5 inch- Medium-6.5 inch and large-8.5 inch- . Please note, the caramel flesh tone in Mr. Limpy is darker than the caramel color in the GV Sailor soft pack. Our Pack N Strap Packing Harness features a wide, comfortable waistband with sturdy leg straps. An elastic strap supports a rubber c-ring suitable for a soft pack. The 1-1/4" c-ring is positioned about 6 inches below the top of the waistband so that the packer sits on the upper pubic area. Our Pack N Strap STP Harness features a wide, comfortable waistband with sturdy leg straps. Three individually sewn elastic straps support a rubber c-ring suitable for an STP within a soft pack. The 1-1/4" c-ring is positioned 7 inches below the top of the waistband so that the STP sits on the lower pubic area. In the re design they have brought back the firm inner core rod from previous design.